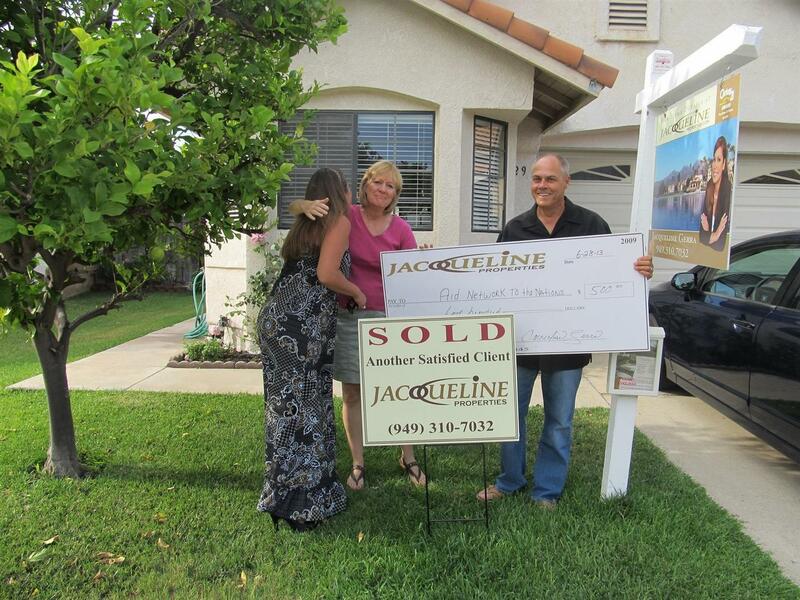 The purpose of Pay It Forward is Jacqueline's way of saying thank you to her clients for trusting her with the sale or purchase of their home. 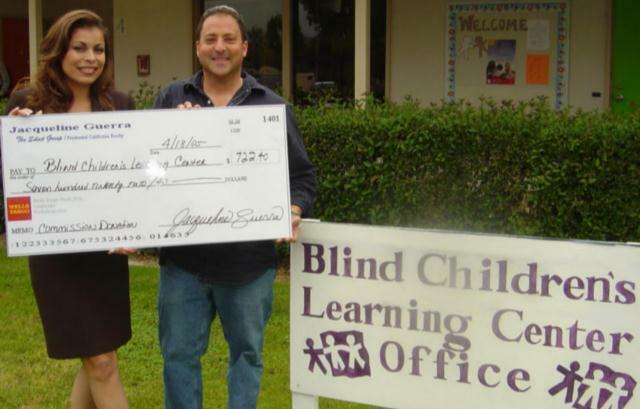 Another main reason is to encourage others to contribute to our community in the hope that they support and become involved with the organization they select for a donation - whether by donating additional funds or volunteering their time. The ultimate goal is to kindle a new found passion to help others, realizing that success is only determined by the lives we touch along the way. The Pay it Forward concept derives from the movie of that name in which a boy attempts to change the world by performing acts of kindness, requesting only that they "Pay It Forward" by doing at least three kind acts for others. 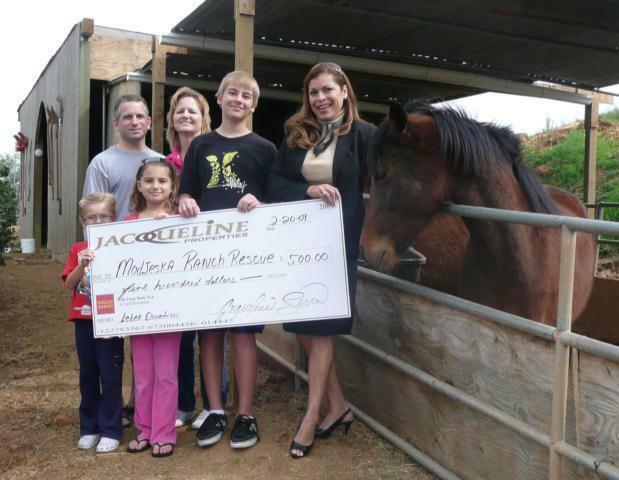 Neighbors in Need: A percentage of Jacquelines commission is donated to a family in the community who has been identified as needing temporary financial assistance to weather a crisis. 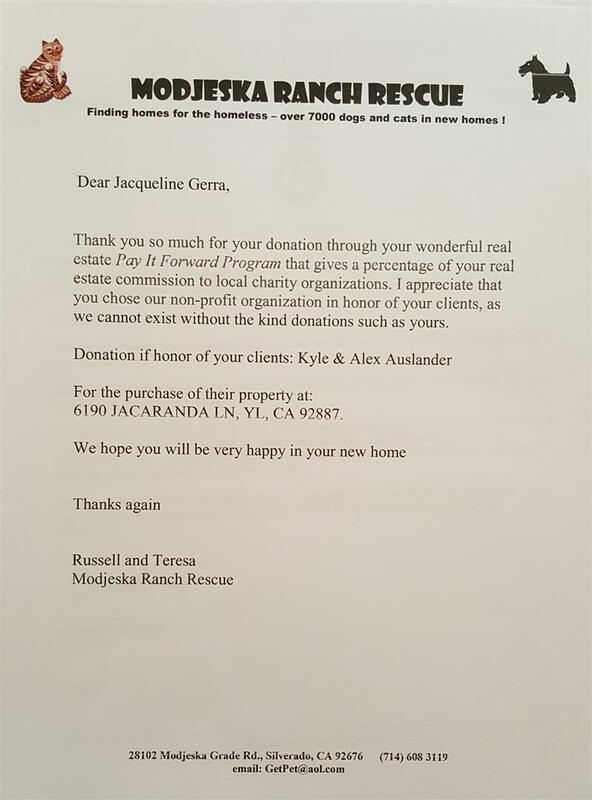 Jacquelines clients who participate in the Pay it Forward program have a unique opportunity to make a difference in the lives of others, including children, teenagers, families, the elderly, the homeless and animals. 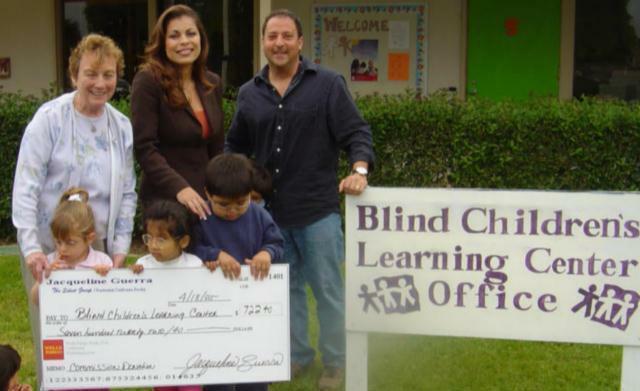 Family focused nonprofit organization providing services to blind, visually impaired and deaf/blind children (birth to 21 years) to achieve the goal of independent adult living. 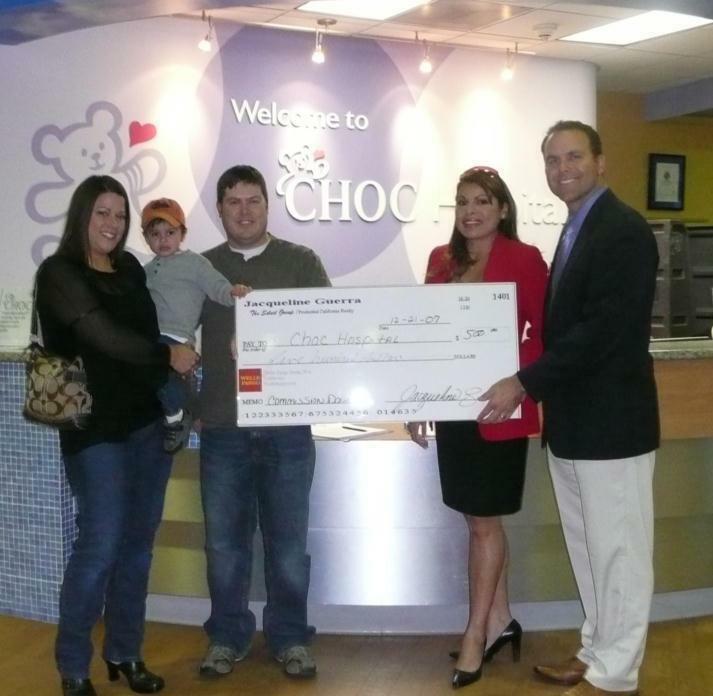 Provides homes and services for abused children. 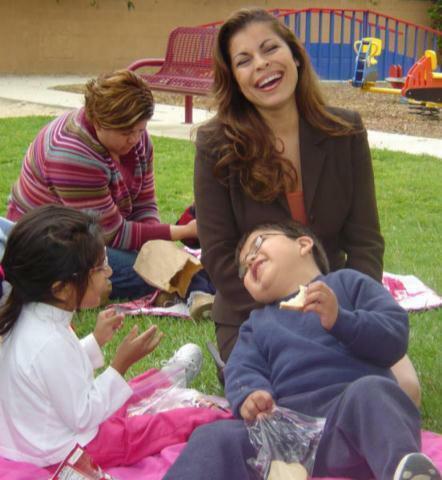 Orange County's only emergency shelter for neglected and sexually, physically or emotionally abused children. Provides refuge each year for about 2,700 children who have been removed from their caretakers by police officers or child protective services workers and placed into protective custody. Grants wishes to children ages 2 to 18 with life-threatening illnesses to enrich the human experience with hope, strength and joy. The Alzheimer's Disease group is for persons who live with or are close to a person with the disease. Group sessions explore feelings about what is happening to the victim, and share strategies in coping with the victim's behavior. The Parkinson's group is for learning more about the disease and its effects, and for developing coping strategies for the patient and the caregivers. At the Widow-Widower group the nature of loss is explored with participants sharing strategies that have worked in developing a new and more independent life style. The Arthritis Club includes a support group where participants share experience, lectures by health professionals on the malady, and regularly scheduled exercise classes. The Diabetes Support group offers a supportive atmosphere where frustrations, coping skills and helping tips can be shared, and also provides continuing education through knowledgeable guest speakers. Educates the community about the negative effects of alcohol, tobacco and other drugs. Works closely with the school district, PTA and city government to coordinate Red Ribbon Week and Pennies for Prevention. Sponsors parent education, youth conferences and dances; also support Grad Nites and youth Action Team events. 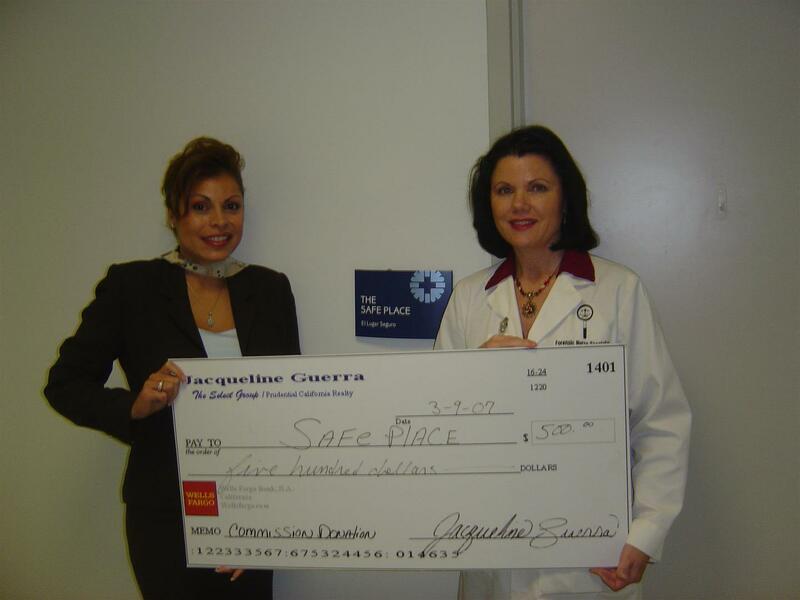 Helps battered women, their families and our community break the cycle of domestic violence. Provides safety for women and their children, long term support to rebuild their lives and education to create a safe community. 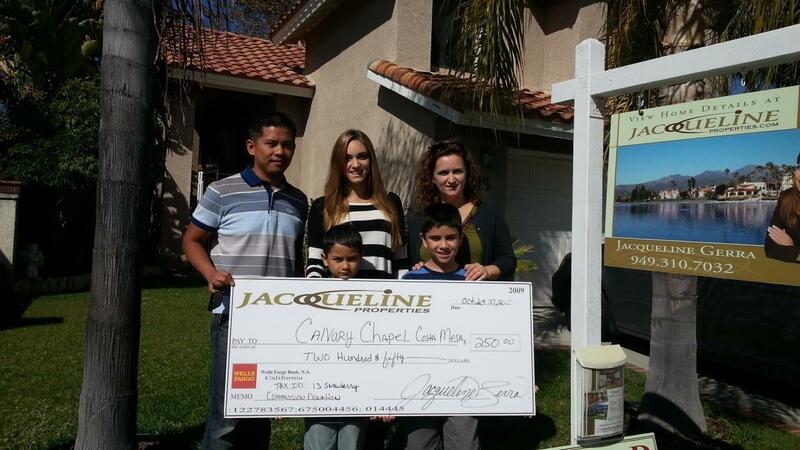 Nearly 35,000 people in Orange County are without homes3; And without hope. In Orange County, the homeless are often invisible. We rarely see them as they live under bridges, in filthy motels, in battered cars, or in cold alleys-yet nearly 35,000 are barely scraping by right in our hometowns. And sadly, their hope is nearly vanished too. These homeless include over 9,000 innocent children in Orange County right now. In fact, families with children represent 70% of the homeless here. Most of their parents have jobs, but just dont make enough to pay rent and buy food. The homeless must stretch their money so far that 60% of them go regularly without meals ? that means kids, too. 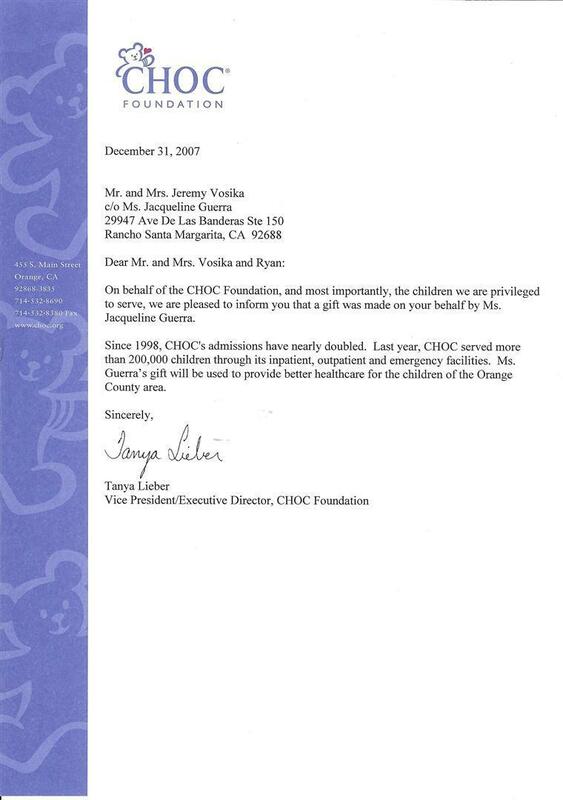 In the midst of Orange Countys affluence, more children go to bed hungry here than in any other place in California. The homeless are stuck in a vicious cycle of poverty. They need a hot meal, a hand up, and hope. 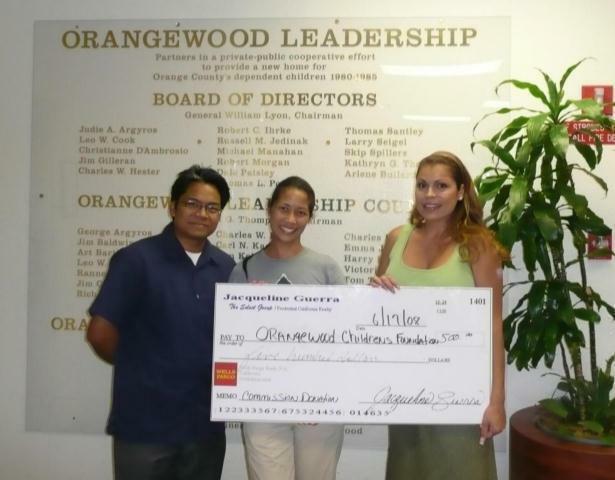 The Orange County Rescue Mission helps hungry and homeless families in Orange County get back on their feet. We deliver hope by providing food, shelter, clothing, guidance, counseling, education, job training, parenting classes and health care. Our faith-focused mission is to minister the love of Jesus Christ to the least, the last and the lost. Many of the problems that keep people imprisoned in lives of poverty and hopelessness can be addressed through feeding, clothing, sheltering and other so-called "social" programs. But we believe that the root of many of these difficulties can be traced to spiritual problems. And that only through an infusion of spiritual hope can people truly realize their full potential. As a Christian outreach, Fred Jordan Missions places a high priority on introducing people to the love, the grace, and the power that comes from personal faith in Jesus Christ. That's why the Mission provides daily chapel services and other spiritual ministries for those on Skid Row. Family church services in both English and Spanish meet on Saturdays and Sundays, followed by family meals. 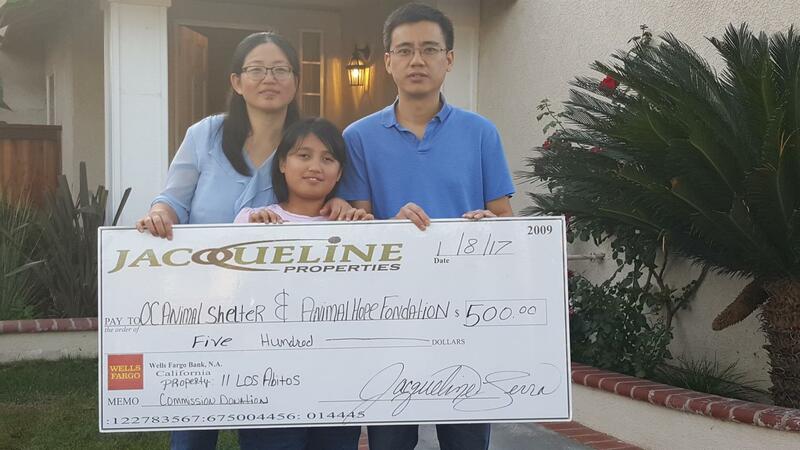 Families Forward is an Irvine-based nonprofit organization that assists homeless and low-income families. Our mission is to help families in need achieve and maintain self-sufficiency through housing, counseling, education and other support services. Founded in 1984 by a dedicated group of community members, Families Forward began with only five apartment units and one part-time counselor. Since then, we have grown to include fourteen homes, a food pantry, program and career counseling, and life skills training. We help those who help themselves by giving hope and assistance. 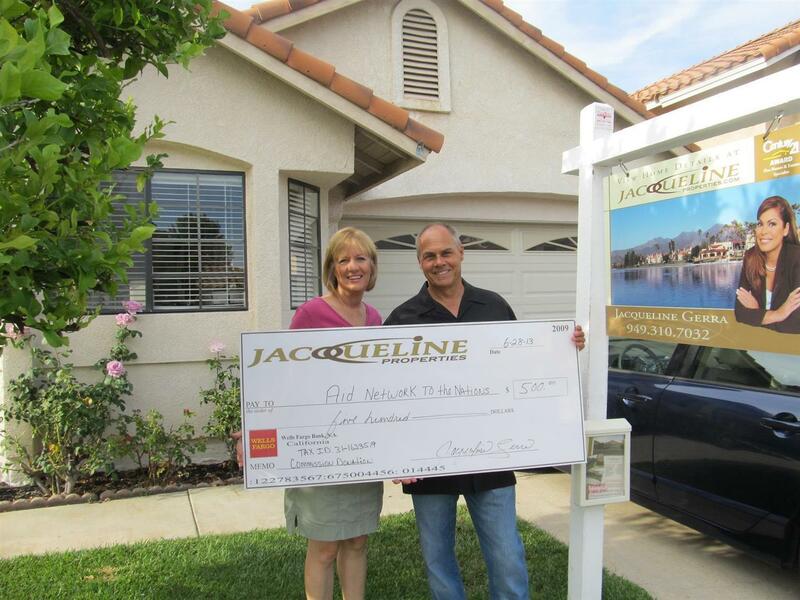 Saddleback Community Outreach (SCO) provides comprehensive emergency assistance to South Orange County families and individuals. Some of the services include rental and utility assistance, and medical, gasoline and thrift store vouchers. Over 200,000 pounds of food is distributed to families and individuals in need each year. SCO offers free computer training classes, operates a thrift store, and provides transitional housing to homeless families. I.C.A.R.E. 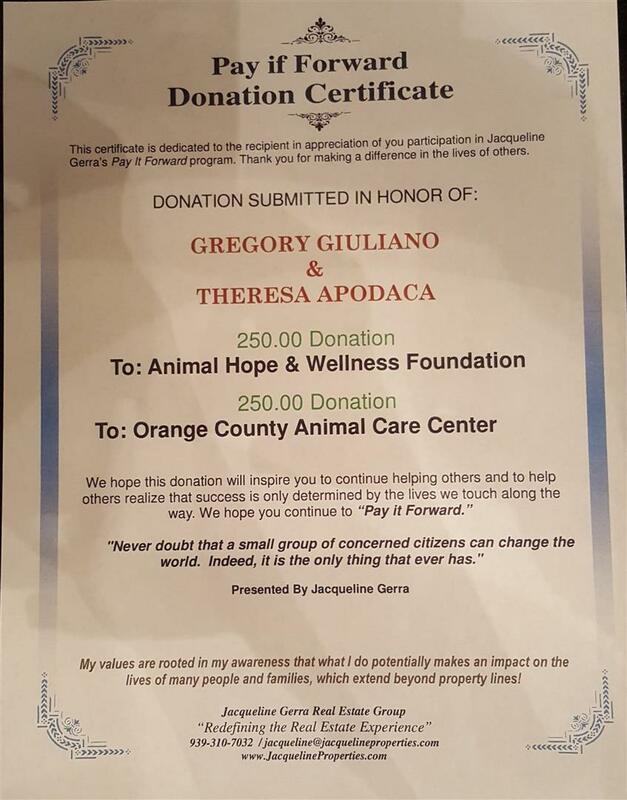 (Into Canine Adoption, Rehabilitation and Education) is a 501 (c)(3) non-profit, all breed, no kill dog rescue. We rescue dogs at risk of being euthanized from shelters as well as abandoned, abused, and stray dogs. We also rescue many owner surrendered dogs; dogs that can no longer remain in their current homes due to financial or personal issues. I.C.A.R.E. Dog Rescue is dedicated to reducing the number of dogs that are euthanized in our shelters each and everyday. We focus on rescuing and rehabilitating them in loving foster homes until they are adopted into their permanent homes. We also focus on educating the public regarding specific breeds, rescue, and general information regarding the canine species. We are a 100% volunteer run and supported organization that cannot survive without the help of loving fosters, volunteers, and benefactors. Please contact us if you wish to contribute in any way. Wildlife rescue center committed to rescuing, rehab, educating the community and release the animals back into nature where they were found. Orange Countys largest and most active animal rights group. Promotes the concept that rights for all living beings is the next step in human progress. National nonprofit organization dedicated to ending the institutionalized exploitation and abuse of animals by defending their rights, welfare and habitat -- whether they are in the jungles of Africa; the dog markets of South Korea; the countryside of rural America or at the hands of the vivisection, puppy mill or fur industries. Published One at a Time: A Week in an American Animal Shelter, which tells the true stories of 75 animals who passed through a typical shelter. Each animals story unfolds to explain why he was in the shelter, how his situation could have been prevented and what finally happened to him. Many stories end in joy; others in heartbreak. Provides a glimpse into this nations homeless animal tragedy and the innocent individuals caught within it. Each animal has an important lesson to teach and a powerful message to share, creating an educational tool that will change the way people think and, even more importantly, what they do. 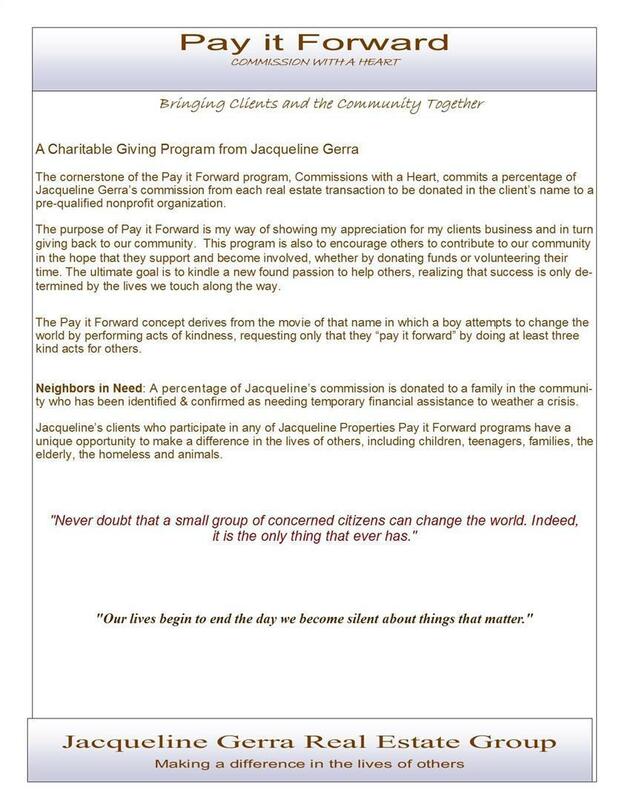 As part of the Pay it Forward program, your name or company name will receive all the benefits of name recognition in the following places: community newspapers, online eCampaigns, Jacqueline Properties website (www.JacquelineProperties.com) Golden Circle page and your companys marketing materials (if requested). 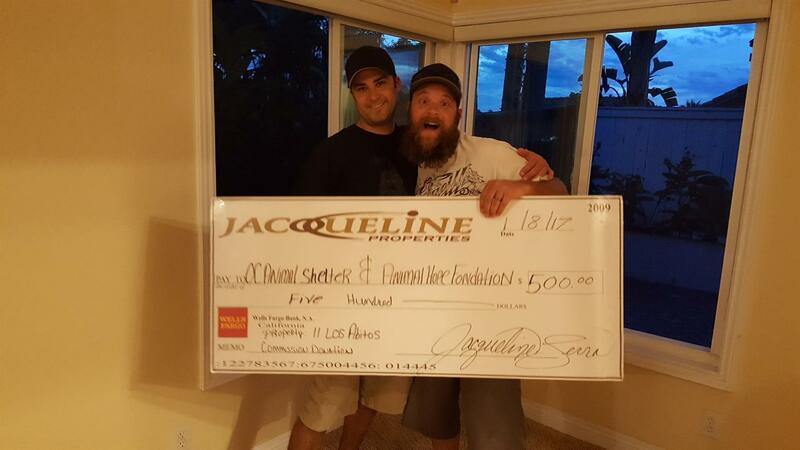 Please note that you will not be receiving a tax deduction for this donation since the monetary contribution will be provided solely from Jacqueline Gerras real estate commission. percentage of net profit commission after deduction of taxes. I completely understand the terms of this agreement and acknowledge that I will not receive any tax benefits. 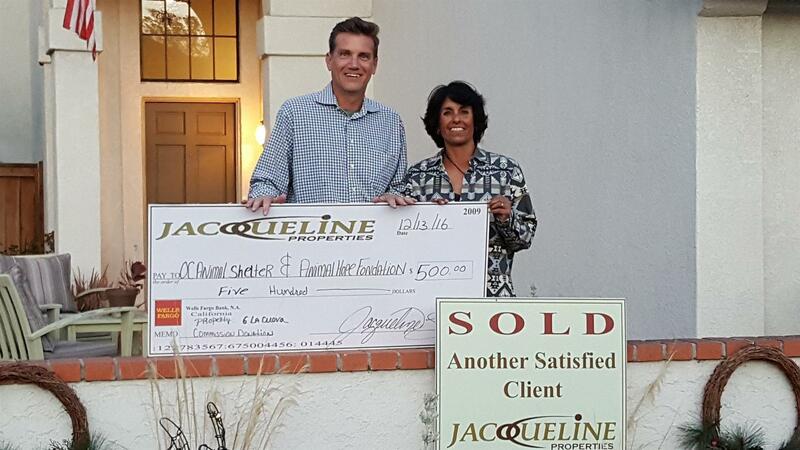 In addition, I release the name listed above to be placed in any marketing material Jacqueline Properties chooses.